If you and your twin said, “YES!” we want to hear from you! This is a once in a lifetime opportunity to take part in a light-hearted, fun and endearing documentary series that explores the lives of lovable, over-the-top and memorable twin siblings. Take part in the adventure of a lifetime and get paid while doing it! NOTE: siblings should be at least 16 years old or older. 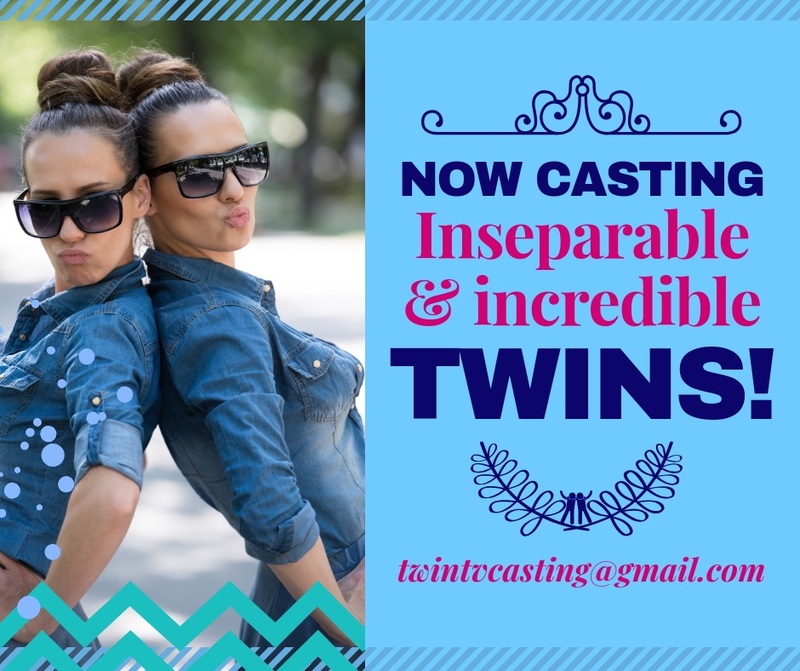 Producers are casting for both identical and fraternal twins. I have twin girls who love acting and are very creative. I think they would be perfect for any roles you have open.